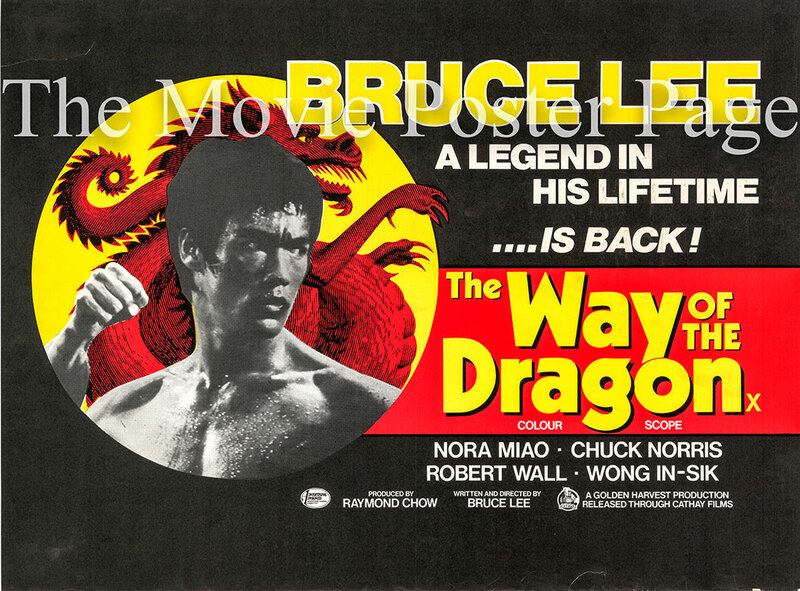 This is an original 30" x 40" UK quad poster for the 1972 film The Way of the Dragon written and directed by Bruce Lee and starring Bruce Lee as Tang Lung. Plot summary: Tang Lung goes to Rome to help his cousins with their restaurant business. A crime syndicate is pressuring them to sell their property but Tang Lung defends his cousins as the syndicate tries to use hired martial artists to get what it wants. The final showdown takes place in the Roman Colosseum when a martial artist named Colt [Chuck Norris] is brought in to fight Tang Lung.